The Right Reverend Tim Dakin, Bishop of Winchester, has announced today that the Venerable Canon Michael Harley, Archdeacon of Winchester, will be retiring in November after 40 years of ministry. 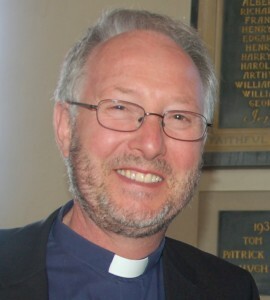 Michael has been Archdeacon since 2009, initially also serving as Master of St Cross and Priest-in-charge of St Faith. Prior to this he served as Vicar of Chandler's Ford. Following his ordination as a priest in 1976 he held a number of roles in Winchester Diocese, including curate, vicar, area dean, rural adviser, tutor, Chair of the House of clergy, honorary canon and General Synod representative. Details about the process for appointing Michael’s successor will be made available in due course.